West Nusa Tenggara Province has a very strategic position because it is located at the nexus cross of Banda Aceh – Kupang, economically quite profitable. Lombok Strait in the west and Makassar Strait in the north are strategic sea transportation lines increasingly crowded from the Central East to traffic fuel oil and from Australia is metallic minerals to Asia Pacific. It is a cross trade to the Eastern Region of Indonesia (Surabaya, Makassar). Located in areas of the world famous tourist traffic Bali – Komodo – Tana Toraja. Administratively, West Nusa Tenggara (NTB) divided into 7 districts and 2 cities with Mataram as its capital. 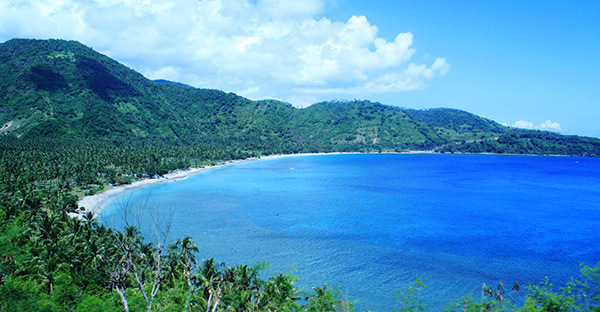 Lombok is one tourist destination in NTB Province. Located in an accessible location, only 30 km from Selaparang Mataram airport. The series beaches of white sand very exotic and facing directly into the Indian Ocean. The number of tourists who visit, both foreign and domestic tourists continues increase. Several locations for surfing still too virgin to be missed by surfer’s mania, in addition to maximum privacy in the quiet south coast. Daily life that still maintain ancestral traditions in Sade hamlet and Tansang-Angsang, two village cultural heritage illustrates how ethnic Sasak live life in the early days of civilization. Sukarare traditional weaving, pottery in Penujak, antiques made of Ketak and rattan in Beleka village, all hearty support the development of tourism in this area. And of course the traditional ceremonies are unique and quite a few are still casting a magical power is still practiced by ethnic heir to the island of Lombok.